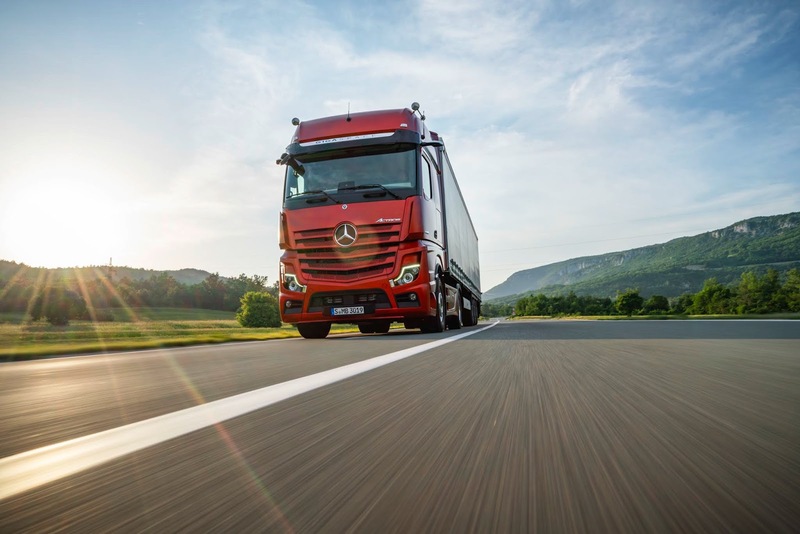 Auto giant Daimler has outed a new vehicle, The Actros truck just in time for the IAA Commercial Vehicles Show unveiling its new flagship from truck to the global press and introducing certain noteworthy features which include automated driving features, up to 5 percent less fuel consumption and a replace of traditional mirrors by the MirrorCam system. 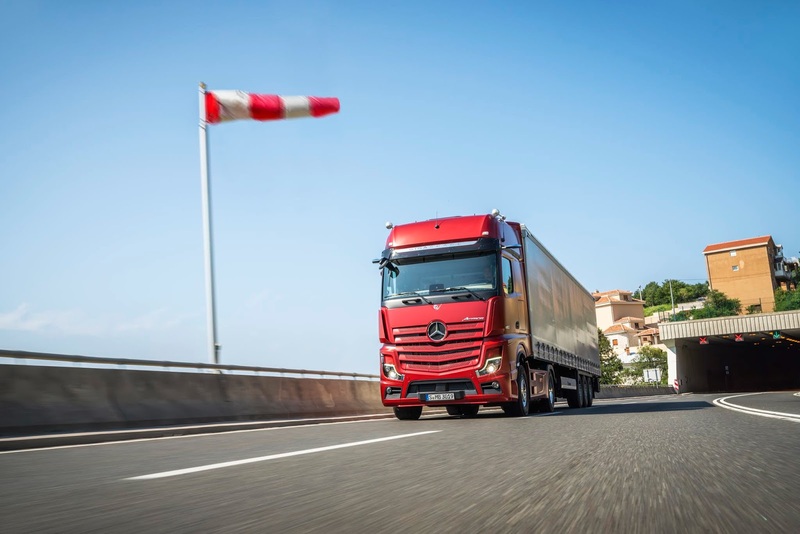 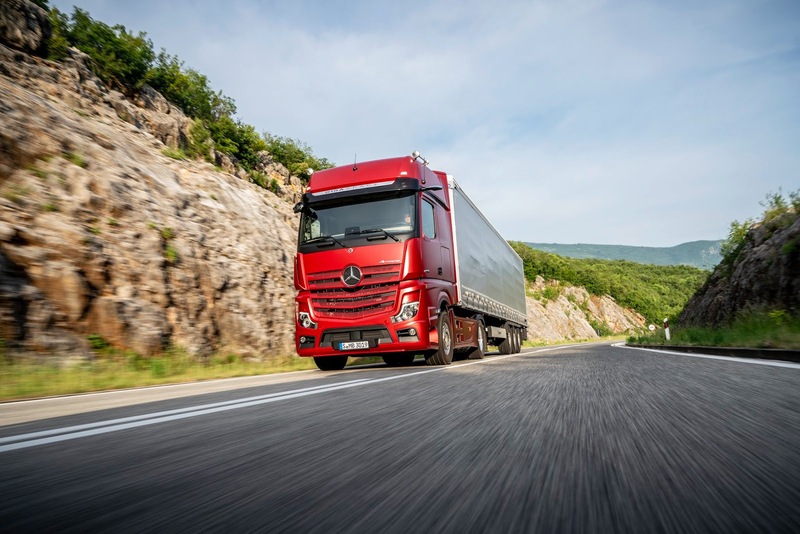 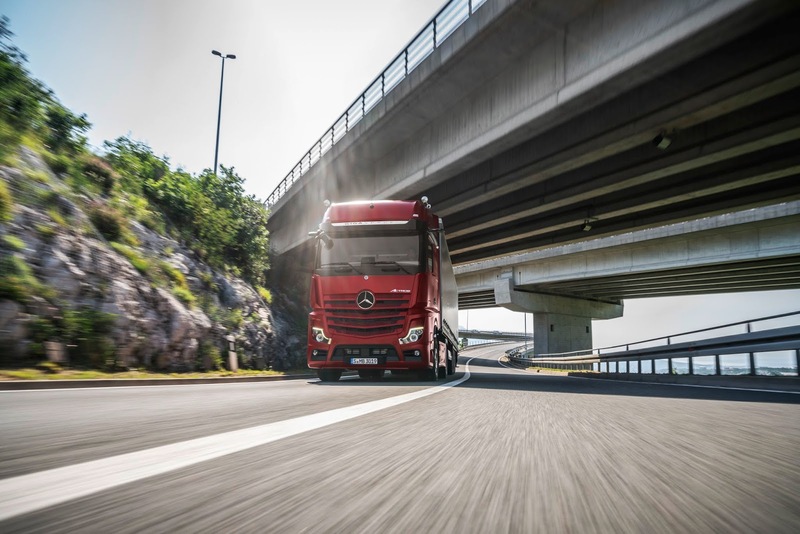 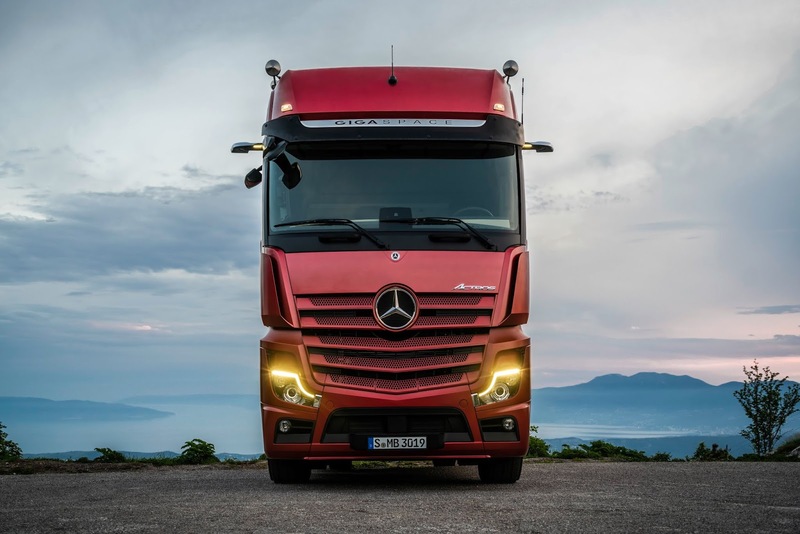 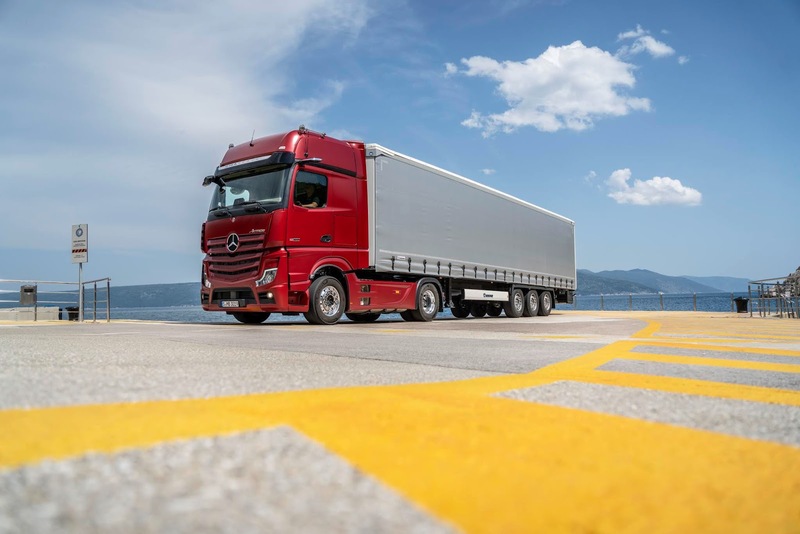 The new vehicle features systems to support drivers as well as to enhance safety and support with Mercedes bringing semi-automated driving to this truck for its handlers. 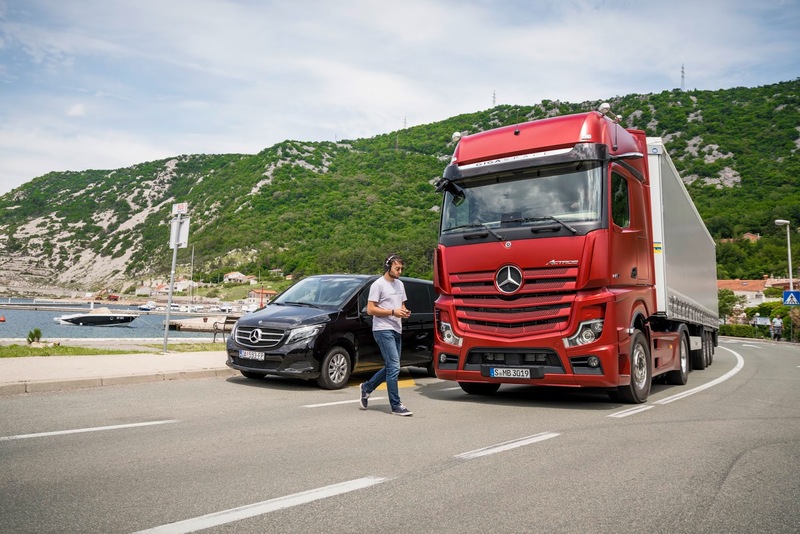 The new Active Drive Assist feature is capable of braking, accelerating and steering the vehicle handling these at all speed ranges for the driver. 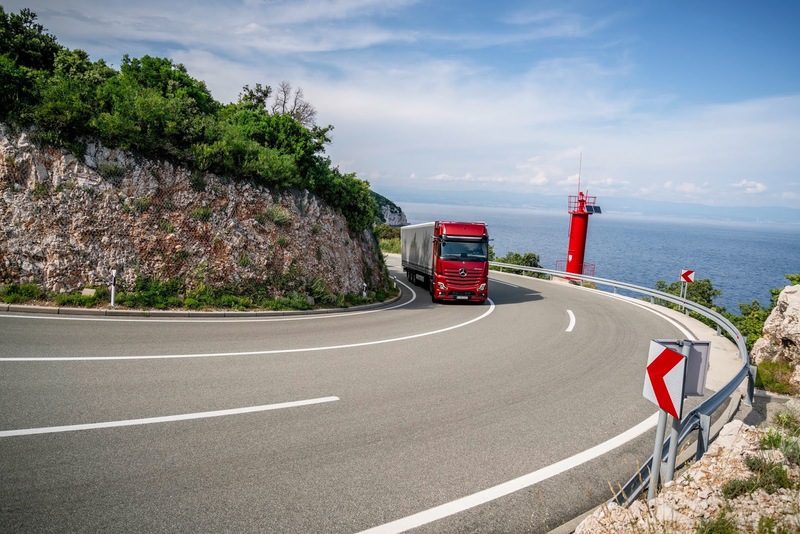 Fuel consumption has also been reduced in comparison to previous models with savings of up to 3% on motorways and as much as 5% on rural routes providing cost advantage to the customer. 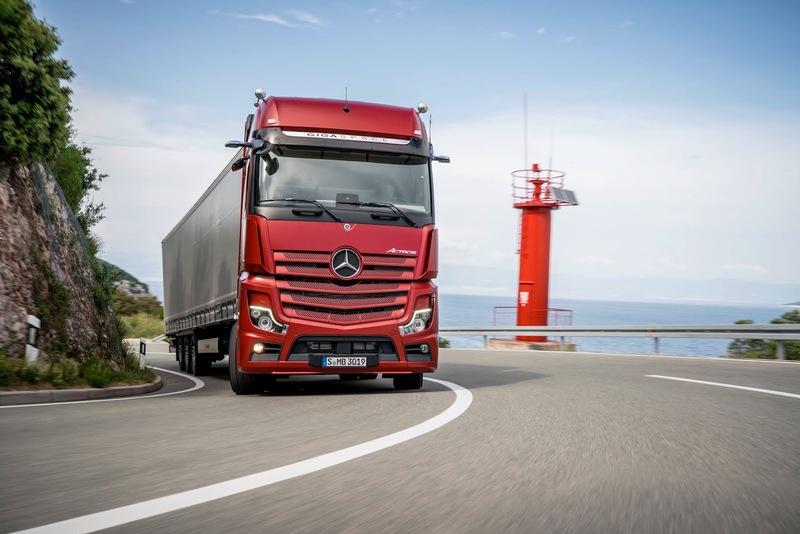 Thanks to its MirrorCam and new cab side deflectors, Aerodynamic improvements have been achieved for the vehicle along with the Predictive Powertrain Control (PPC) intelligent cruise feature now working more efficiently than before while now being available for rural routes thanks to additional map data. 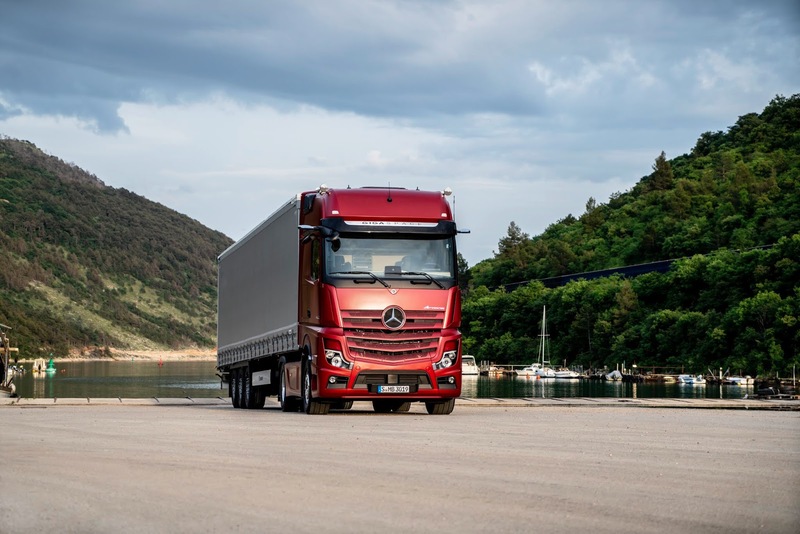 The Actros counts as the first series production truck making use of MirrorCam which is replacing outside mirrors for more safety and efficiency. 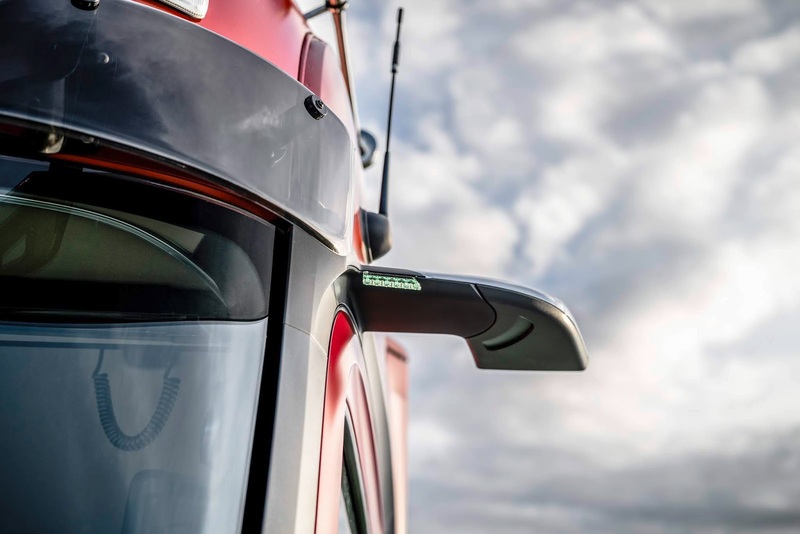 The MirrorCam stands as a major improvement in terms of vehicle handling, safety and aerodynamics with this system providing a significantly improved all-round view through the use of 2 cameras mounted to the vehicle's exterior feeding information to two 15-inch displays on the A-pillars in the truck's cab. 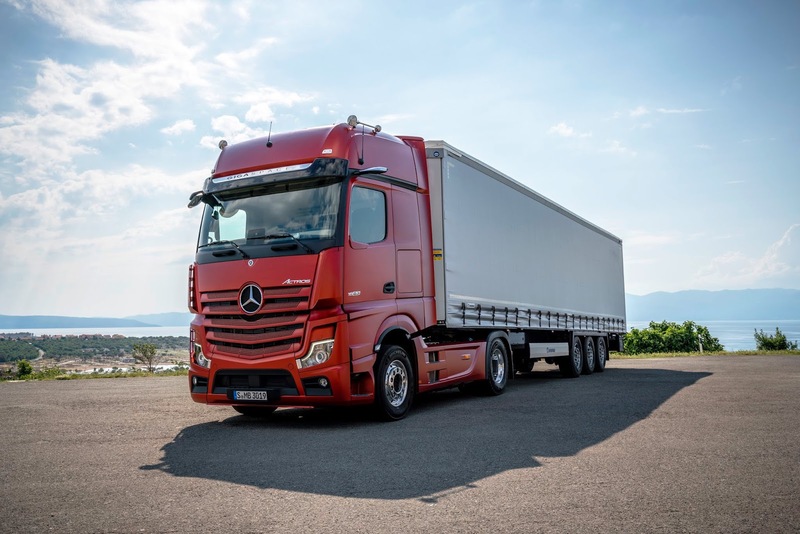 "The new Actros brings innovations to series production which previously we only showed on our concept vehicles: Active Drive Assist, MirrorCam and numerous other innovations help to make the transportation of goods by road even safer, more efficient and more productive." 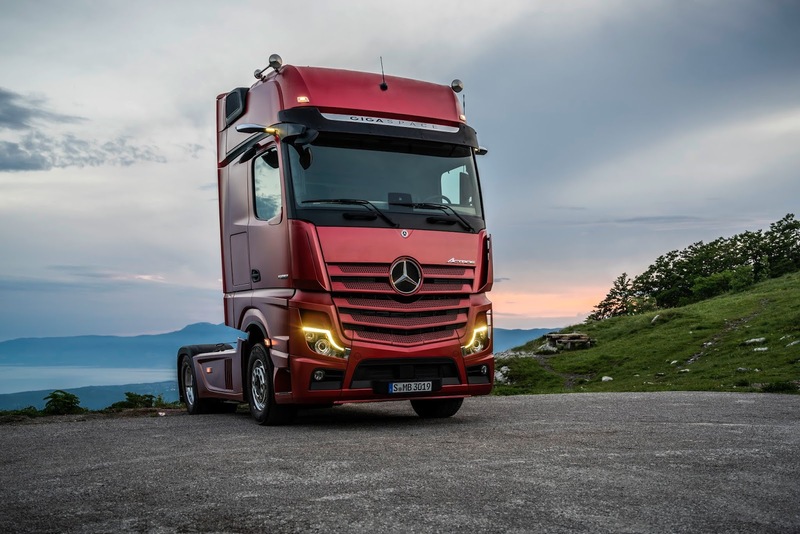 Stefan Buchner, Head of Mercedes-Benz Trucks stated. 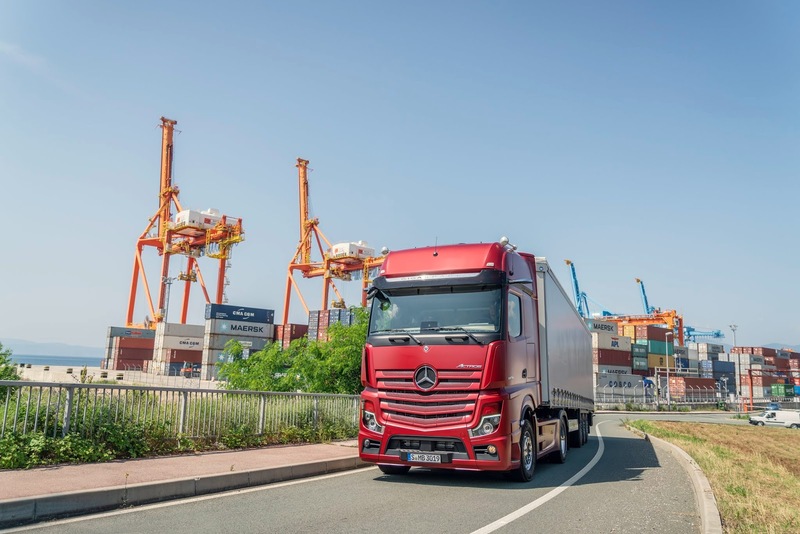 "The new Actros underpins the promise of 'Trucks you can trust' with application-oriented, durable technology, exceptionally long maintenance intervals and all our experience from more than 120 years of building trucks." 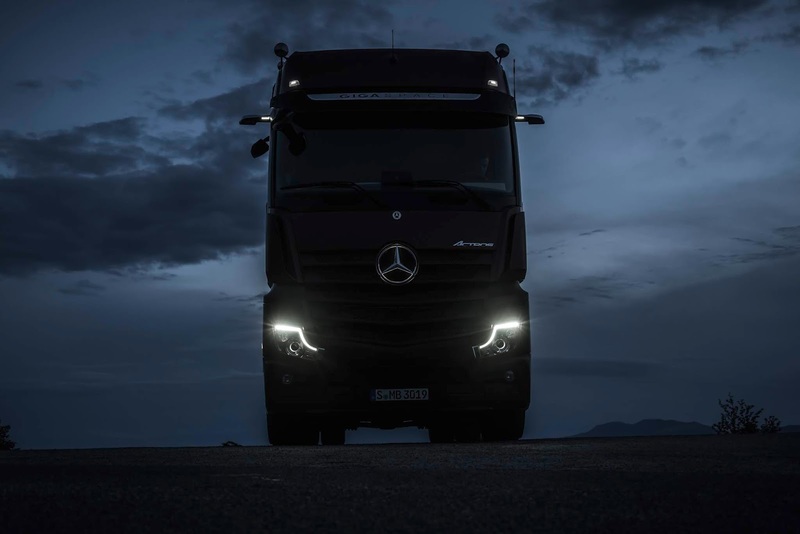 Other notable features of the new truck include improved connectivity, automatic braking systems, and progressive interior and exterior design among others. 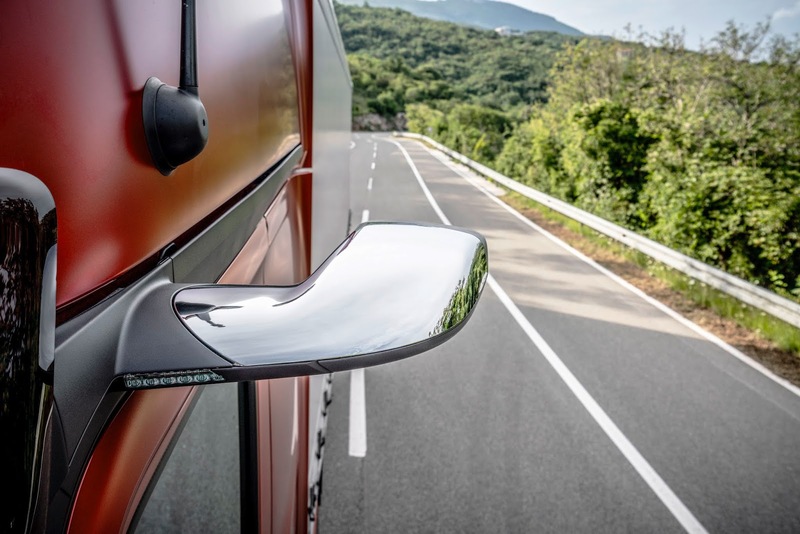 "We are systematically availing the new possibilities opened up by connectivity to enable drivers and business owners to work together even more efficiently." 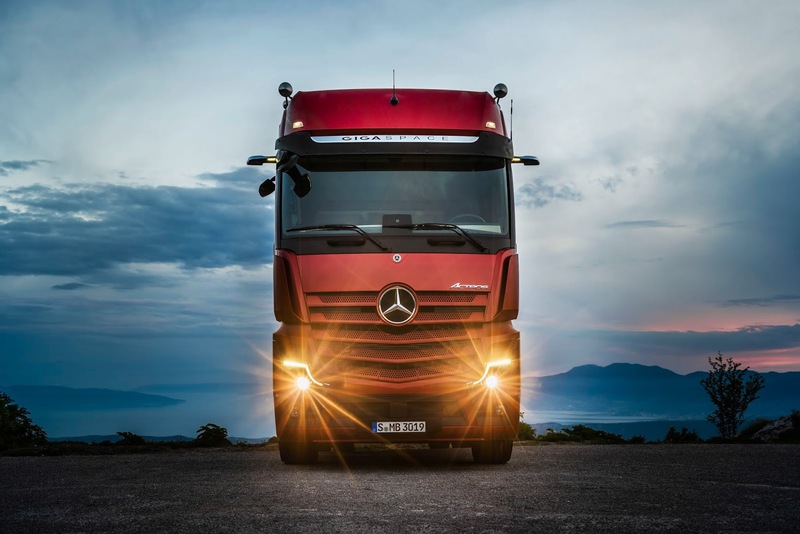 Uwe Baake, Head of Development at Mercedes-Benz Trucks added.